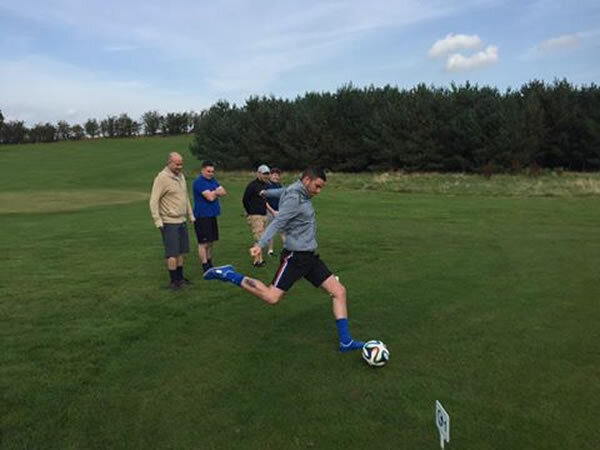 Footgolf Scotland has a gem with this delightful course near Coylton, Ayrshire. The rolling Ayrshire countryside makes for a naturally undulating course that can be enjoyed whatever level of ability. There is a wonderful little tea room with a sun patio overlooking the course for refreshments following a game. The course and tea room together also offer a kids’ Meal Deal showing that this really is a family friendly spot to come at the weekend. Footballs are available to hire, and anyone can give this course a go. You don’t need to be a brilliant footballer or golfer, the rules are simple, you really can just turn up and have a go. An average game here takes about 1 hour, but you can enjoy some time in the Tea Room afterwards.